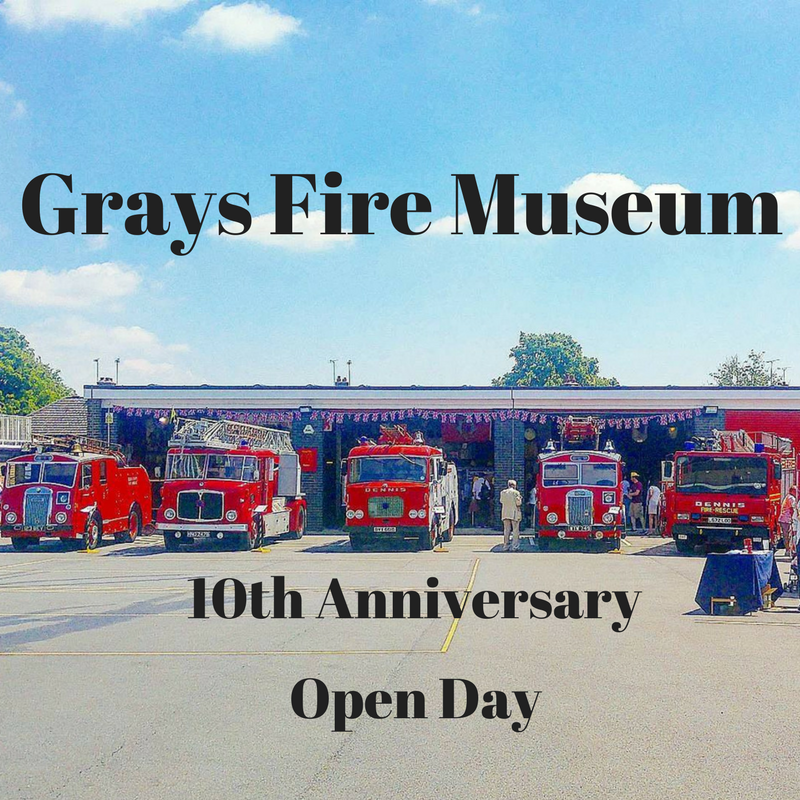 On Saturday we took the girls to the Grays Fire Museum 10th anniversary open day. They regularly hold open days but we usually can’t make it for some reason or another but we finally made it. We got there fairly early and stopped to watch the sky lift being moved which the girls really enjoyed watching. We headed inside the museum afterwards and found a fantastic display of vintage fire extinguishers. I especially love the Winhams 1950’s fire extinguisher and the L & G 1960’s fire extinguisher. I do love vintage exhibits like this. They are so fascinating seeing the differences over time. Whilst I was checking out the fire extinguishers Izzy was a little worried about a mannequin.. at least I thought he was a mannequin until he moved! You may have seen My Sunday Photo – The Moving Mannequin.. kind of creepy!? Once Izzy ws over the mannequin she spotted these cool lanterns and was quite intrigued by them. I love the old photo’s that accompany the exhibits, they really helped the girls understand how certain things were used & what they did. The wall’s around the museum and above all the display cases were littered with badges, helmets, photo’s and signs amongst other interesting items. It really was amazing to see so much history on display at the Grays fire museum. The girls seemed to really enjoy seeing the different helmets and fire engines that have been used over the years. There were lots of boards filled with pictures, news clippings and information everywhere. The Grays fire museum have an impressive collection of memories & exhibits with some fantastic volunteers who were happy to answer questions too. Eva and I continued to wander around the exhibits and came across another mannequin. This time it was definitely a mannequin.. we double checked! Eva nervously braved a picture with him haha! Next we came across this brilliant display where a guy pressed the smoke button getting Eva to shout ‘Smoke! Behind you!’. Eva found the display really interesting looking at the gas mask especially but she didn’t seem too sure about the baby being inside one though! We wandered around the small but full museum for quite some time. Looking at a range of equipment dating back well over 100 years used by the Essex fire service. The old fire brigade carts and vehicles were absolutely stunning, most in fantastic condition still too! The girls as fire fighters! The girls were fascinated by the different fire engines too, there were several different types parked up. They jumped at the chance of sitting in one of the modern fire engines just before we left. 2 volunteers helped the girls sit down and offered them helmets to wear which they happily accepted. Izzy was a little unsure because of the weight of the helmet but they both loved it. We probably spent about an hour or so at the museum absorbing information & taking far too many pictures. I would definitely recommend anyone with an interest in the history of the Essex fire service going to the next open day at the Grays fire museum as it is wonderfully interesting with so many different exhibits. Would you find the Grays fire museum interesting?